The Department of Human Resources is updating its policies in Chapter 9 of the online Policy Manual. Our goal entails completing the majority of the policies by the end of this fiscal year (May 2015). We are reviewing and updating multiple polies at each phase of the process. Our first round (9 policies) has been reviewed by representatives of several constituent groups and approved by the President’s Executive Council. The main change to this policy is the elimination of the six-month waiting period for paid medical absence leave. Employees cannot plan when they are sick – it just happens. As a result, employees who come to work sick in order to be compensated often expose other employees to illness. Once employees have sick time accrued, they may take that time when they need to be absent due to illness. Instances where employees do not have enough sick time accrued will be handled on a case-by-case basis. For further information, contact benefitsU@smu.edu. In the past, time off for bereavement was taken from accrued medical leave. A new policy has been created where employees who need to be absent for family bereavement will be compensated for up to three days of paid bereavement leave. In circumstances where additional time off is warranted and approved, an employee may use two additional days of accrued medical leave. If paid medical leave accruals have been exhausted, the absence will be compensated from vacation accruals. If the vacation accruals have been exhausted, the employee may request unpaid leave, not to exceed a total Bereavement Leave of five days. Managers should read the policy for definitions of “family member” and further information about bereavement leave. Employees often wish to take advantage of the generous tuition benefits that SMU offers. The revisions combined two policies into one with the title of “Tuition Benefits” (formerly 9.28 Tuition Benefits for Dependent Children of Faculty and Staff Members and 9.29 Tuition Benefits for Faculty and Staff Members and their Spouses). The revisions also further define tuition benefits coverage and clarify that the cost of attending SMU non-credit bearing courses is not covered. In addition, since hours can vary by degree program, there is no longer a stipulation that at least half of the hours spent in class must not involve time off from regular working hours. Aligned with current practice, “Domestic Partner” has been added to all references of the spousal tuition benefit. The policy also clarifies that the tuition benefit covers only one degree for a spouse or domestic partner. For more information about tuition benefits, review the Tuition Benefits webpage. A section has been added to address attendance, absenteeism, and tardiness (section E). SMU expects employees to be reliable and punctual in reporting for scheduled work. As a manager, you have the right and responsibility to hold accountable those employees who have unapproved absences or continued tardiness. Be sure to document any corrective action that you take, as outlined in Corrective Action for Staff, Policy 9.13 (the policy listed next). An employee who is absent and fails to report to work without notification to the manager for a period of three consecutive days will be considered to have voluntarily terminated the employment relationship. This policy was previously titled “Corrective Disciplinary Procedures for Non-Faculty Personnel.” The language and procedures have been updated to accurately reflect the current philosophy and practices used in managing employee performance. This policy provides clarity on when a manager should contact the Department of Human Resources, and also clarifies the manager’s role, outlining expectations and proper documentation. The updates to this policy define “good standing” and its impact on eligibility for transfer and rehire of employees. It also renames the three corrective action steps that are outlined. The third step, Final Notification, no longer allows for a day off with pay. As a manager, it is important for you to understand your role in the corrective action process. For further information, see the full policy and view the Corrective Action webpage. This policy was previously titled “Employment of Persons Convicted of Criminal Offenses.” As an SMU manager, it is important for you to know that all employees must undergo a background check (pre-employment screening) prior to starting work at SMU. You will need to make sure your candidates submit the release form and wait to hear back from HR before making an official offer. This policy identifies categories of convictions that may/may not yield an offer of employment. Also, SMU now reserves the right to conduct background checks on current employees under certain circumstances, at any time during employment. If adverse results are identified on the background check, the Department of Human Resources will initiate a review with other University officials and the manager to determine what action might be taken. In addition, after being hired, employees should self-report to the Department of Human Resources within five (5) business days if they have been convicted, pleaded guilty, or received deferred adjudication or similar disposition before a civilian or military court for any criminal offenses (excluding minor traffic misdemeanors). If a current employee is charged with an offense, the University will conduct a review. A final decision regarding continued employment will be made by University officials and the Department of Human Resources. The revisions consolidated two policies, 9.16 Termination of Employment and 9.17 Exit Process into one overall policy, 9.16 Termination of Employment. This policy outlines the amount of advanced notice an employee must give to his/her manager before leaving SMU. 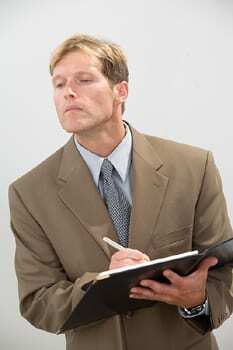 An employee should also submit a letter of resignation to his/her manager at the time notice is given. Exiting employees are required to turn in their University ID card, pay any money owed to the University, and return all University property prior to leaving. Pay may be withheld from the final paycheck for any legal debt owed to the University. Managers should note that based on feedback provided by exiting employees in recent years, an exit interview is no longer required. Instead, a checklist, Employee Frequently Asked Questions, and detailed information regarding the exit process will be emailed to the exiting employee prior to leaving SMU. Of course, exiting employees may request an appointment with a Benefits Representative if they have additional questions. Managers should view the Manager Checklist and Manager Frequently Asked Questions documents when one of their employees is leaving SMU. These documents may be found on the HR website under Resources/Manager Resources/Exiting Process. This policy was originally written to capture a phased-in roll-out of the program across campus. Now that the roll-out is complete, wording referencing the roll-out has been removed. What remains refers to Texas law that requires anyone with knowledge of suspected child abuse or neglect to report it to the appropriate authorities. State law also requires any individual employed in a position involving contact with minors at a campus program to complete a training program approved by the State of Texas. The training program must be completed within the two years prior to the start date of the program, and recertification is required every two years for the individuals in these programs. All SMU faculty, staff, and student employees are required at the start of employment to successfully complete an approved training program on sexual abuse and child molestation. Training may be accessed via SMU Blackboard at courses.smu.edu. If you or your employees suspect child abuse or neglect has taken place on the SMU campus or at any SMU function, program, or event, immediately make a report to the SMU Police Department at 214.768.3333. SMU employees must also report such conduct to their manager or department head, but merely reporting the incident to a manager or department head is insufficient. If there is an immediate threat, call 911. For further information, please read the entire policy and/or visit the SMU Program for the Protection of Minors. This new policy is a formalization of current practices around various reorganization methods. The policy lists possible reasons that may prompt reorganization and includes current regulatory language. The policy indicates that the Department of Human Resources should be contacted prior to taking any action. To review the full text of the policies, visit the online SMU Policy Manual. You will need to log in with your 8-digit ID number and e-mail password. Please have conversations with your employees about these policy updates, when appropriate. A post about the policy updates was announced in the HR Headlines e-mail that was sent out to all benefits-eligible employees on August 25. 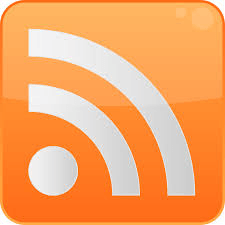 Additionally, employees who are subscribed to the RSS feed for the HR Blog would have received notification when the post was published. You may wish to share this post with them as another notification about the policy updates, as well as a lead-in to conversations about the updates. For questions about any of these policy updates, contact smuhr@smu.edu. Read more about HR’s strategy to update all HR policies in the SMU Forum. Stay up to date on manager news – subscribe to the Manager Blog RSS feed and receive posts in your Outlook Inbox!